Sher Singh Bhil belongs to the Jhabua district of Madhya Pradesh. He learnt painting from his mother, Bhuri Bai, at the age of seven. By 15, he was drawing on canvas and had developed his own unique colour palette. He is currently associated with the Manav Sangrahalaya in Bhopal. There isn't a drop of water in the village. The desperate people set off to find a badwa who can ask the gods to send rain. And what does he tell them to do? Go home and paint! 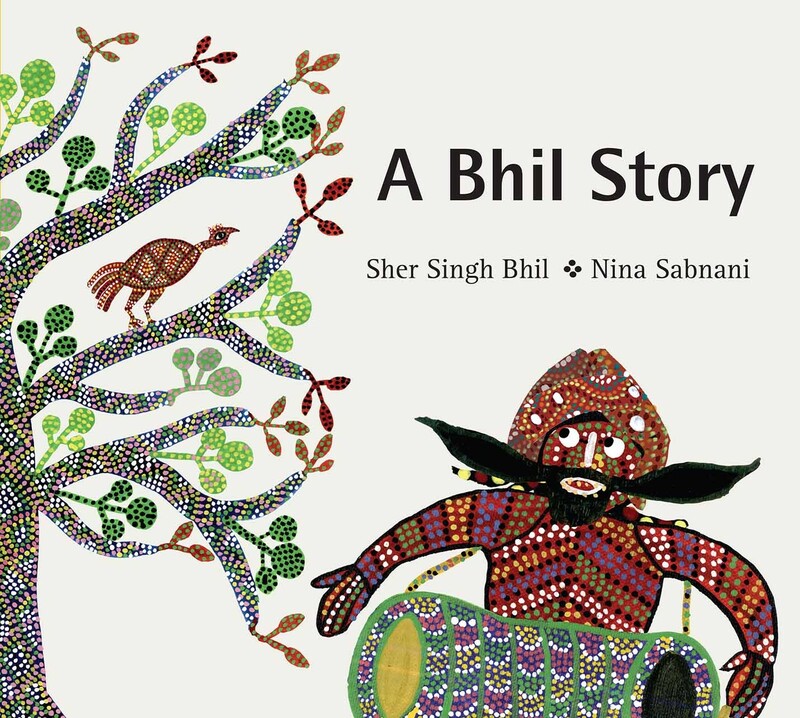 An origin story about Bhil art with stunning illustrations in the traditional pithora style.